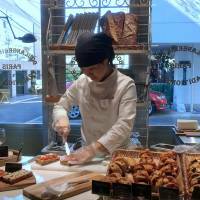 Almost exactly one year ago, fans of French pastry were celebrating the opening of Rituel, the Tokyo headquarters of French artisan baker Christophe Vasseur. 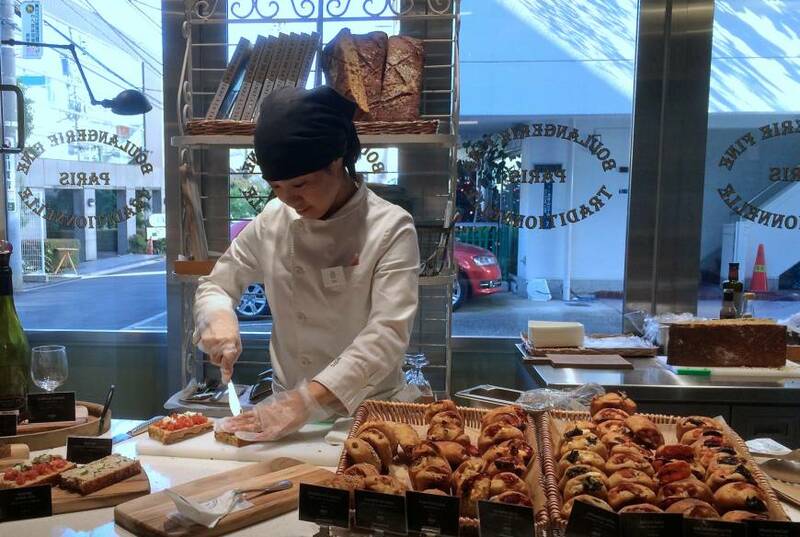 Just like his main shop in Paris, Du Pain et Des Idees, this store near Omotesando Station has become a place of pilgrimage for those in search of high-end pastries. Justifiably, most of the attention has been on his superb, sweet-but-not-too-sweet creations, such as the Escargots, spiral-shaped, crispy whirls with fillings ranging from pistachio to plump raisins to seasonal specials such as crumbled chestnut. But there’s another good reason for making a detour to Rituel: the firm, flavorful bread and the superb tartines that the staff prepare from it. These delicate but substantial open-face sandwiches come in five varieties, including tomato and feta cheese, an excellent pate de campagne with cornichon dill pickles, an equally good sardine spread and even a sweet version topped with coarsely crushed chocolate and hazel nuts. If you have time, take a place at one of the in-store tables and order the set menu: a choice of two tartines, a colorful salad and a glass of wine or a soft drink. At ¥1,280 (¥1,480 with wine), it makes for one the finest snacks you will find in the area.